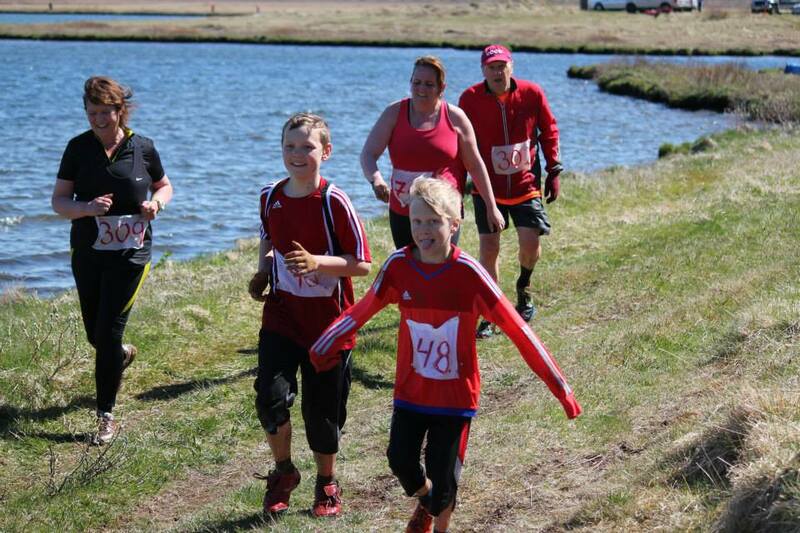 Running across muddy fields, wading in water, meeting cows, horses and arctic terns, the Gullsprettur (Gold Sprint) is easily one of the most entertaining races you can find in Iceland. The race is held at Laugarvatn, which is just over an hour’s drive from Reykjavik. Laugarvatn is a shallow lake and under its floor there are hot springs heating the lake. On its bank rests a village of over 300 inhabitants, also named Laugarvatn. 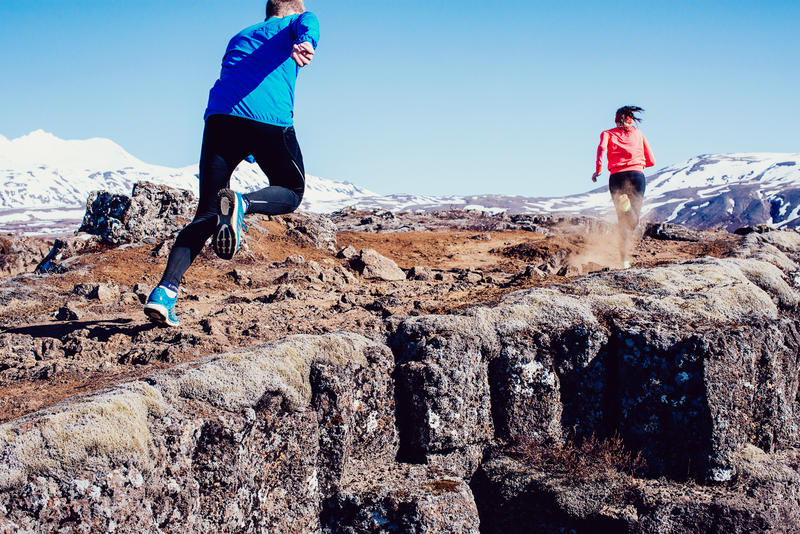 It is definitely one of the easiest and best running trips out of Reykjavik and there is a lot to see and do besides running. 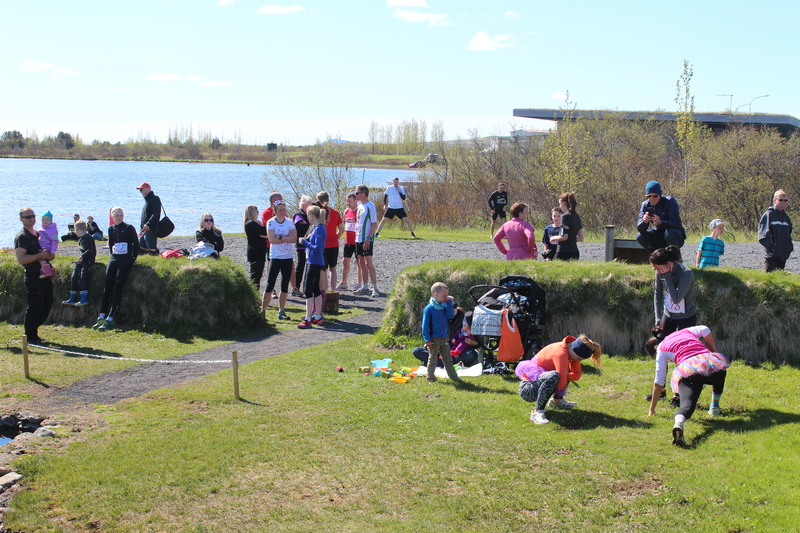 The race was originated in June 2005, when the Gullkistan (Treasure Chest) Art Festival in Laugarvatn celebrated its 10th anniversary. 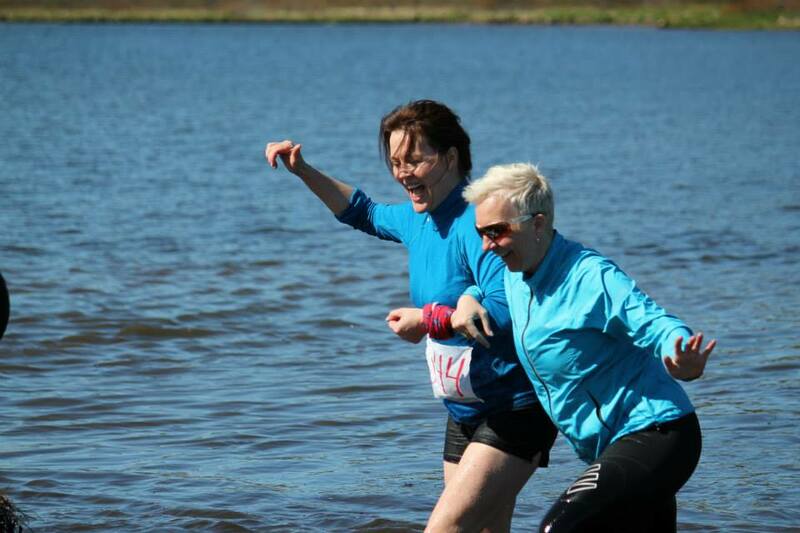 One of the events that took place that year was the Gold Sprint, a cross country run around the lake. It has been an annual event since then and is becoming more popular each year. 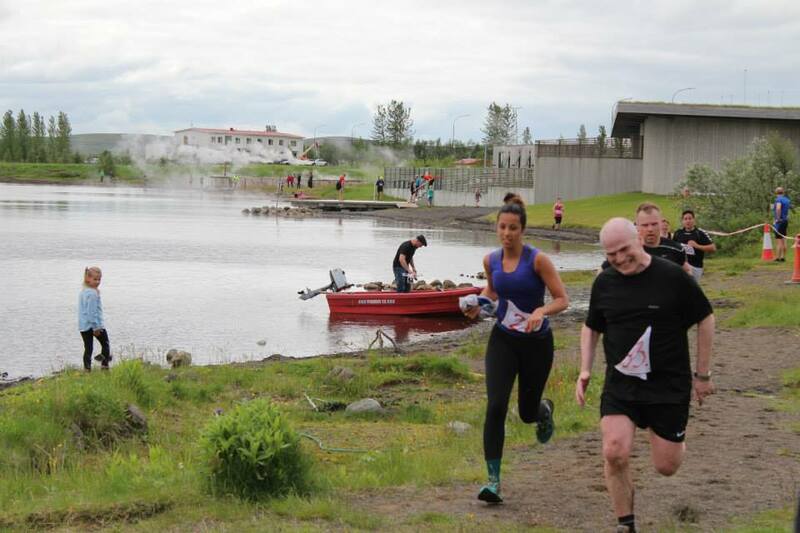 The event is an adventure race around the Laugarvatn lake. It is about 8.5km long and on the way you have to cross rivers and trenches, wade into the lake, run in wet muddy mires and sand dunes on the bank of the lake. You are very likely to encounter cows, horses and other farm animals and look out for arctic terns above, they may not be so happy to see you! But it all adds to the adventure and fun. 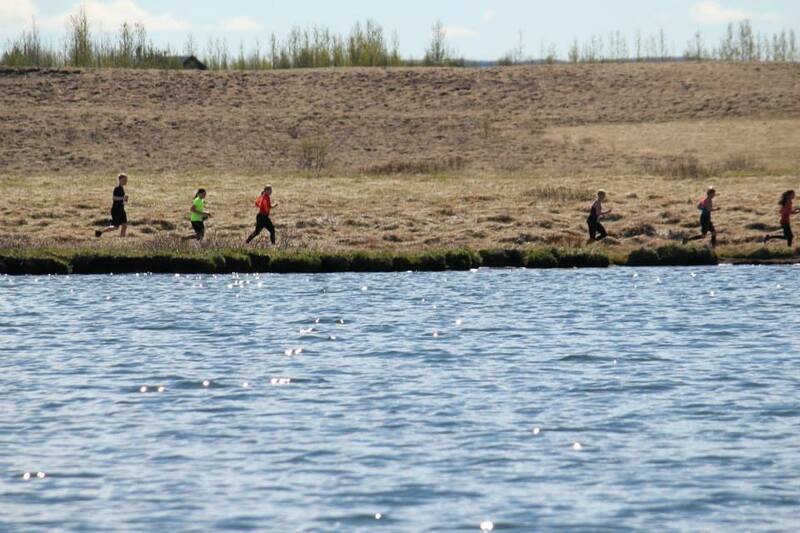 The organizers have marked a recommended course that most follow more or less, but the rules are such that runners may choose their own path, as long as they circle the lake. 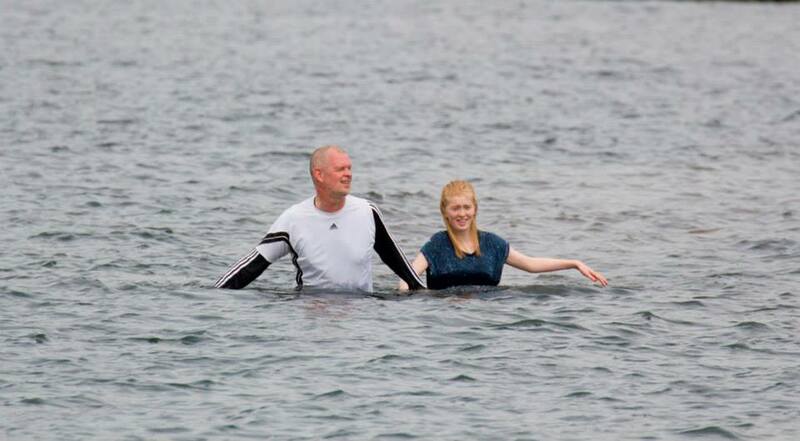 You are for example allowed to swim or wade across parts of it if you believe it will save you time. Conditions vary however, so the right choice one year may not be so right the next. This is not a race to wear your best running pants or favorite shoes. You will get wet and you will get dirty. 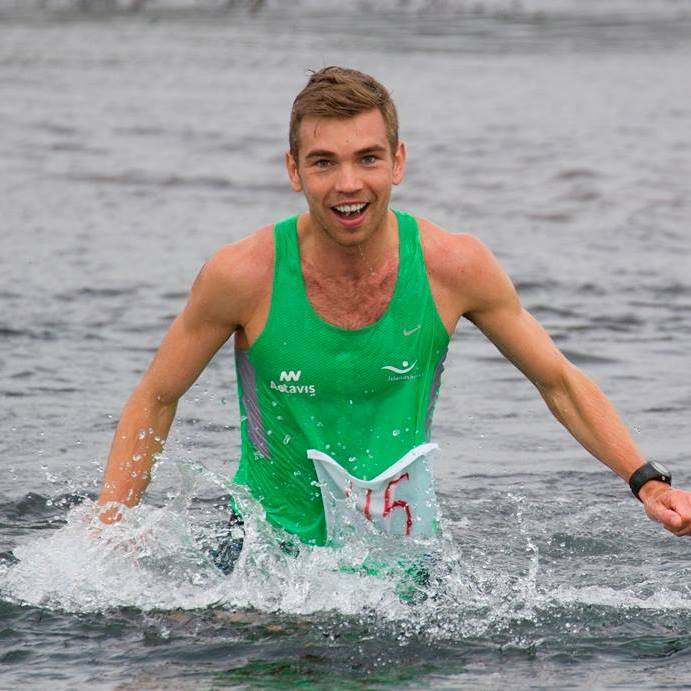 It is a challenging race even though it is not very long, but it is one that centers mainly on having fun. 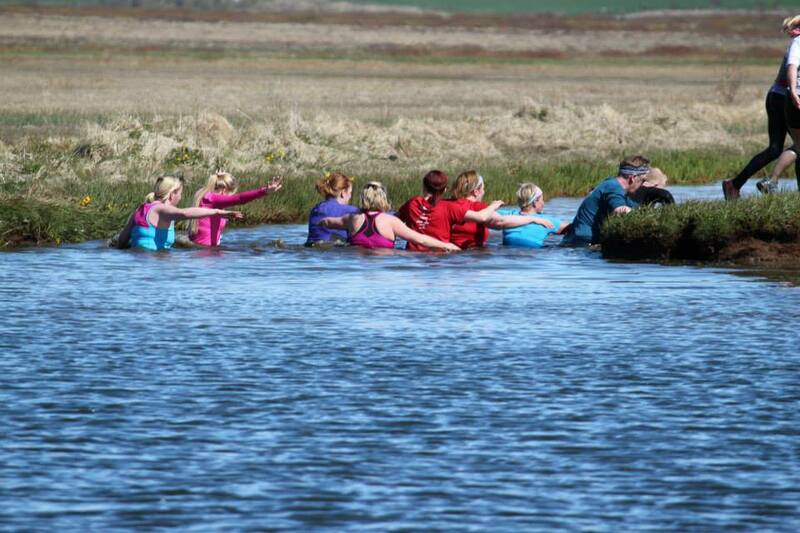 We certainly have always had a lot of fun there and the atmosphere is very relaxed, with most participants more focused on enjoying a day out than posting record times. After the race the runners gather for post-race refreshments and local delicacies, including bread baked in Geysers and trout from local waters. Laugarvatn is a very popular summer destination for Icelanders, with a lot of summer cottages in the area. There are some good restaurants and cafes there, for example the cozy Gallerí Laugarvatn. The abundant thermal activity is utilized in many different ways, among other to heat hot tubs and swimming pools in the area. The Laugarvatn Fontana Spa is the second most popular in the country after the Blue Lagoon and is always worth a visit. Laugarvatn is located midway between some of Iceland´s most popular tourist attractions: Thingvellir, Gullfoss and Geysir (The Golden circle). You can easily visit them all on the day of the race, or choose to be more relaxed and spend a night somewhere in the region. 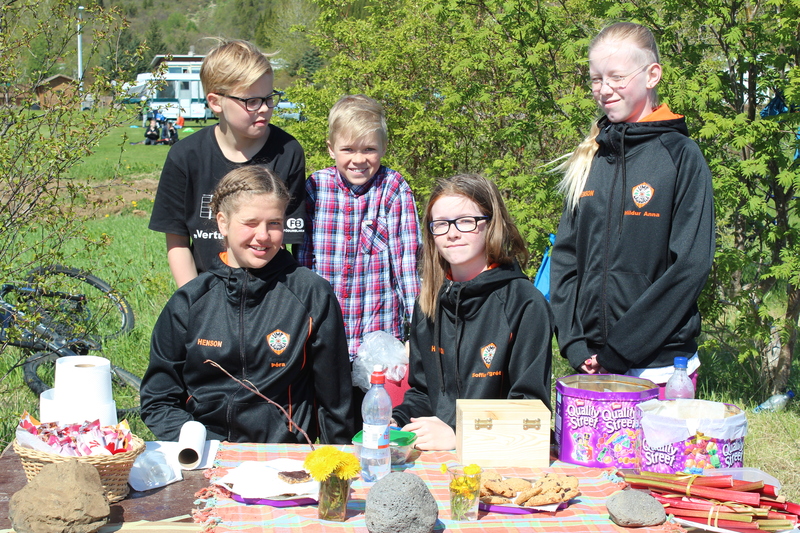 The money raised from the race all goes to support the Laugarvatn Rescue Team, a volunteer organization who are also on hand during the race. Here is a video from the 2014 race. The race has a facebook page. All photos are published with permission from the Gullsprettur Race.